This week, a classic Nintendo video game celebrated a landmark anniversary. In September 1985, the first iteration of Super Mario Bros. was released for the Famicom system in Japan. Three decades later, the Italian plumber with the 40″ vertical and suspect accent has become a cultural phenomenon the world over. To mark Nintendo’s crowning achievement in making all of us feel super old, the Nerds convened around the old Roundtable to share some of their Super Mario memories. NELSON: Okay, I’ve had a long history with Mario. He’s helped me get through past relationship breakups — seriously. Super Mario World on SNES and Super Mario 64 on the N64 was my breakup therapy back in the ’90s. I would submerge myself into the games for a few months to escape the heartbreaks. Here’s the thing, back then the FDA’s Minnesota branch only had one answering machine, and it was setup to go over their speaker system so everyone in the office could hear it. My ma wasn’t all the way mad I tricked her and screamed into their PA about my Mario Bros. run through. I mean I must have been so proud of myself, it beat out everything else. ERIC: I remember my dad telling us to stop throwing controllers when we died and got mad. So one day, my sister and I got him to play with us. He got so pissed, he chucked the controller and the system went with it! RODRIGO: Ha ha. I remember always moving the controller when i pressed the jump button. That’s how you determined the novice from the experts. NELSON: If your body and arms didn’t move while playing the game, you weren’t playing it right. RODRIGO: I have found memories from watching the TV show with Diego to spending days trying to beat Super Mario Bros. 3 because we had to return the video game to the corner store. But Mario was love at first play. So much so that I sold my Atari 2600 and over 100 games to get an NES. DIEGO: When I think of any Mario game, I always picture my friends. Why? 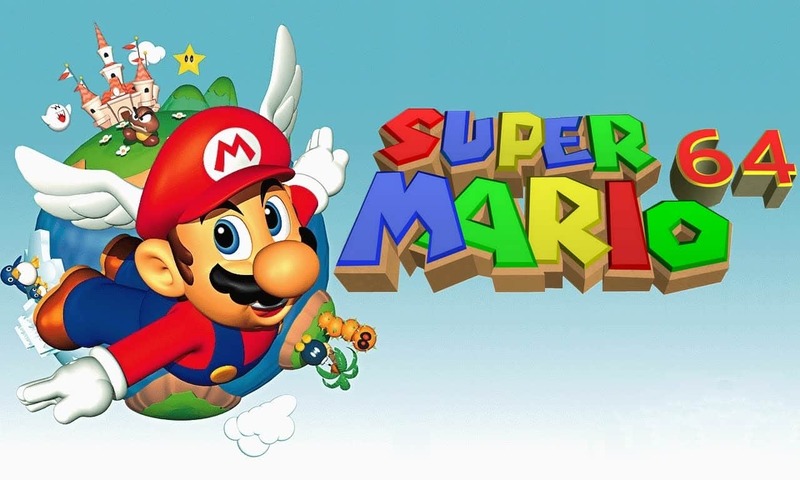 Because the majority of my Mario memories involved passing the controller around and creating this collaborative effort to beat the games, from the original to Super Mario 64. No matter whose house you were at, Mario was a staple in our game rotation. Super Mario World holds a special place as I replayed it endlessly when it was one of two SNES games I owned when I was in Peru. It never got old. While I don’t play the Mario series as much as I did before, they are still great when I do get a chance. Playing a four-player game of New Super Mario Bros. relives my memories as a child except rather than trying to beat the game together, we are trying to screw everyone over as much as we can by making them dive into pitfalls. Times change. I can’t imagine how the younger me would’ve reacted if he had access to the newly released, Super Mario Maker. Making and playing custom Mario levels from people all over the world? Maybe it’s a good thing that wasn’t around back then. I’m thrilled to see what our next generation of gamers can do with this trip down memory lane. RODRIGO: Yes. The endless of hours we played SNES with Super Mario World were the best. Reblogged this on David Macinnis Gill. Next Entry Are You Ready for This Year’s Small Press Expo?